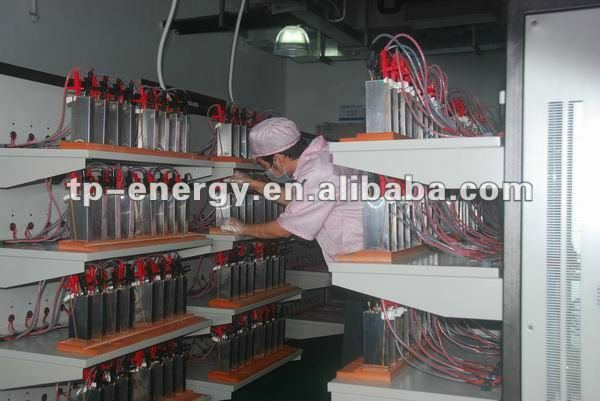 TOPBAND Lithium Iron Phosphate (LiFePO4) battery is the ultimate in weight and size versus power technology. we design this battery mainly replacement for your Lead-acid battery and will require no change to your existing system. 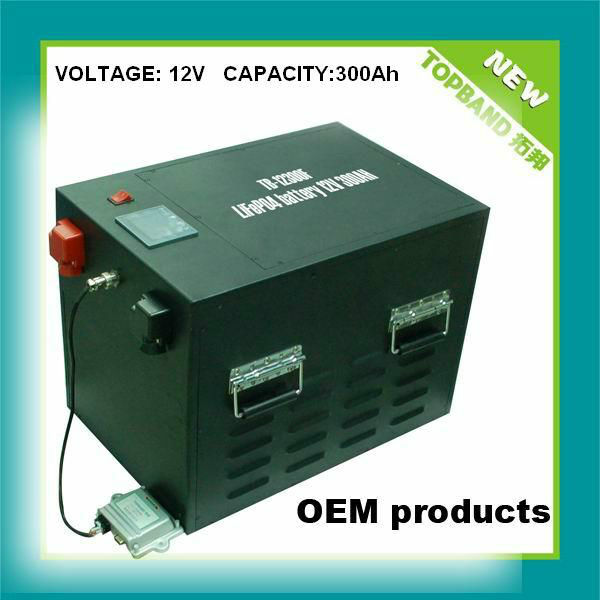 It can be placed that uses a sealed lead acid battery completely,which widely used for deep cycle or energy storrage system replacement lead acid batteries in UPS, Telecom, recreative vehicles, Marine, Solar etc. 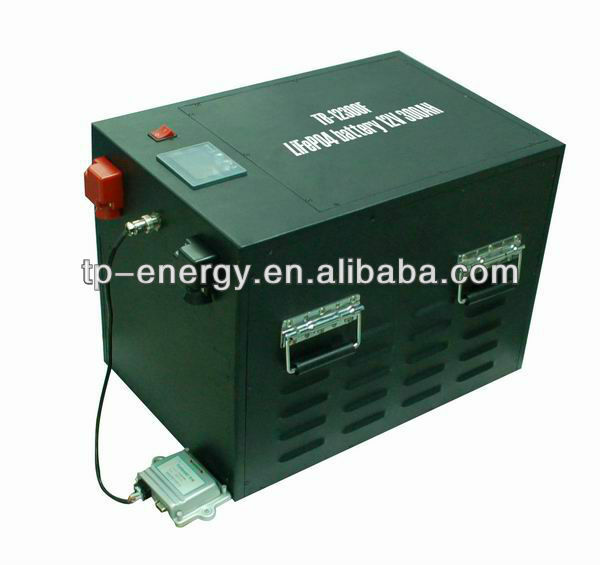 LiFePO4 contains no poisonous meterial and does not create gasses during charge as traditional Lead-Acid batteries do. 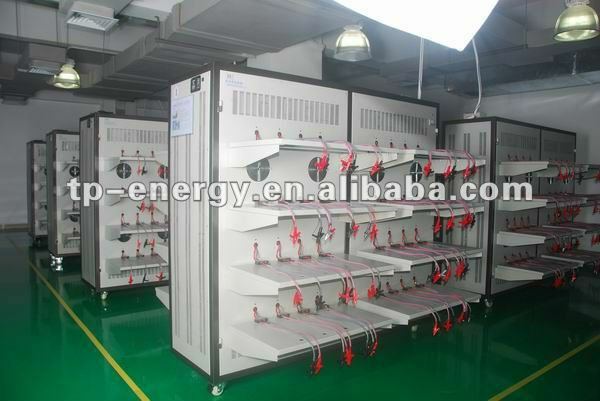 Compared to lead-acid, Lithium Iron Phosphate batteries are also extremely light, smaller, have much lower self-discharge, and are environmentally friendly. 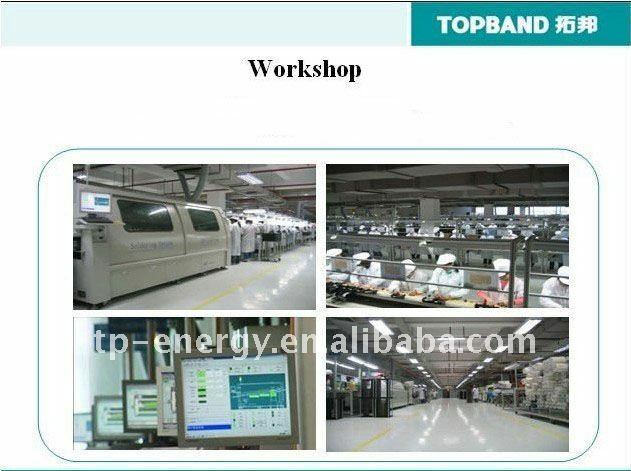 TOPBAND Models have a Battery Management System (BMS). BMS monitors the key operational parameters of each cell during charging and discharging such as voltages, currents and internal temperatures. • Protect the cells or the battery from damage from overcharging or discharging too low. • Prolong the life of the battery with cell balancing. • Maintain the battery in a safe operating state. Because of its light weight, safety, excellent thermal stability, good electrochemical properties and high specific capacity is this application of the material very well received. Dimensions equal to the standard battery for direct replace. 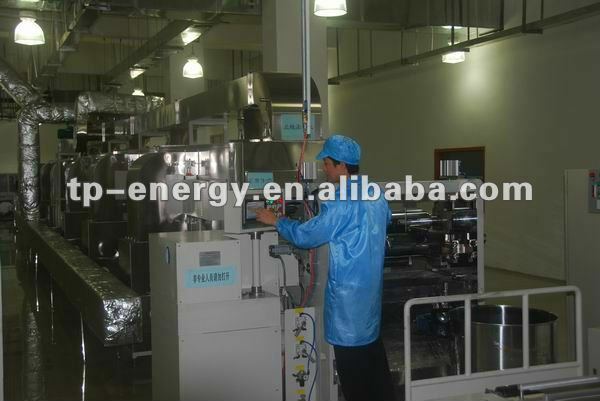 Assembled with LCD display for batteries parameters, the LCD located positin is various. Configured with communication interface- CANBUS protocol, can be contact with the commputer. Expecting charge/discharge cycles number over 2,000. Except 8-10 years of battery life that will reduce your operating cost by half compare with Lead acid batteries. 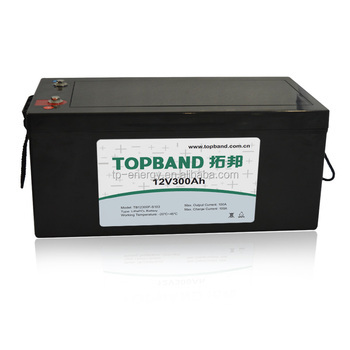 The TOPBAND energy storage battery is intended to be used as a direct replacement for lead acid batteries used in energy storage systems. It is best for the battery not to be trickle charged but to use advanced chargers that turns OFF charging current when the battery is completley charged at 14.6V. 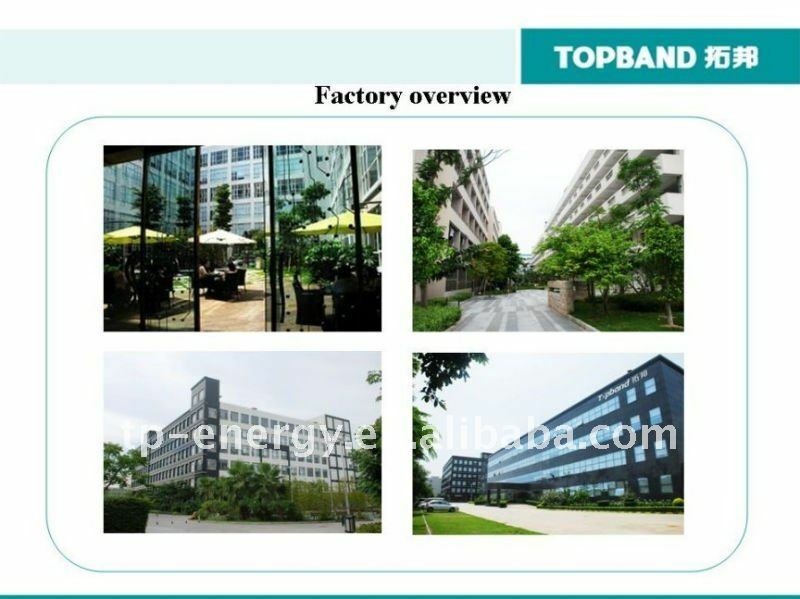 TOPBAND sells "Smart" chargers for lithium batteries. Using lead acid chargers that charges up to 16V, if leaving them ON, will damage the Lithium battery over extended time. 2 Years Full Replacement Warranty including battery and charger.